​​We thank you for your constributions and continued support! ​FROM THE HOLMDEL HISTORICAL SOCIETY FAMILY! The earlier section was built in 1775 and is a Dutch Cottage house. In 1840 the Greek porch and decorative architectural features were added to the western section of the home giving it the appearance it has today. 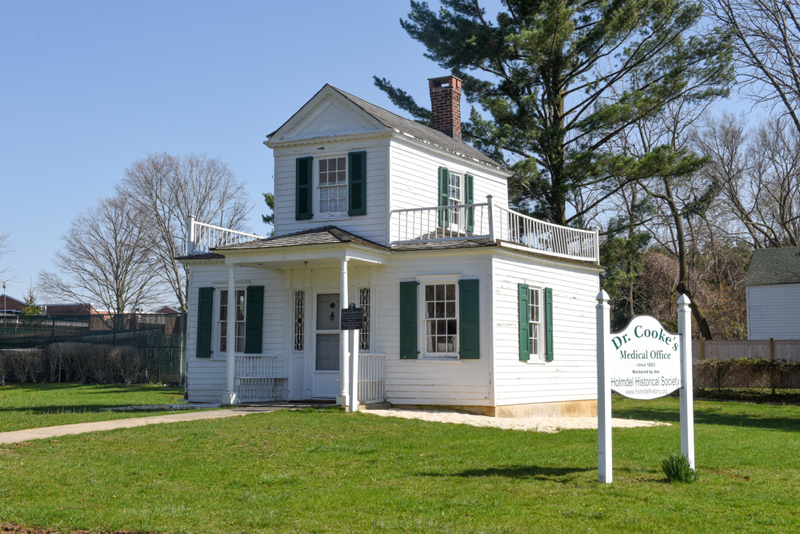 Also in 1840, the eastern part of the house was added to the original Dutch Cottage home. Restoration of the Farmhouse began in 1978 and in 1979 Longstreet Farm was listed on the National Register of Historic places. 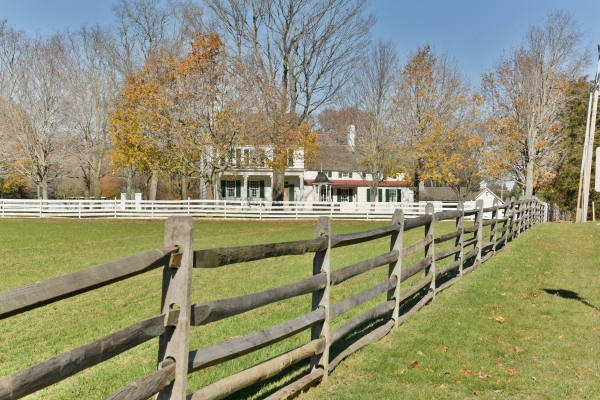 The nine acre farm with house and barns was purchased in 1967 by the Monmouth County Park System to preserve the county’s rural past. The farm opened to the public in 1972 as Historic Longstreet Farm.. Longstreet Farmhouse was acquired in 1977 upon the death of Mrs. Mary Holmes Duncan. 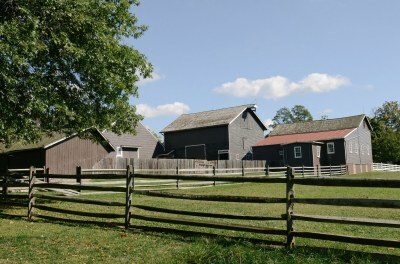 Longstreet Farm is an example of a typical nineteenth-century farm created by Dutch settlers in New Jersey. The farmstead consists of a 14-room “Federal Style” farmhouse, a rare surviving Dutch barn, and a collection of nineteenth-century farm outbuildings. The combination of Dutch and English barns and house types on the farm are typical for this geographic area. 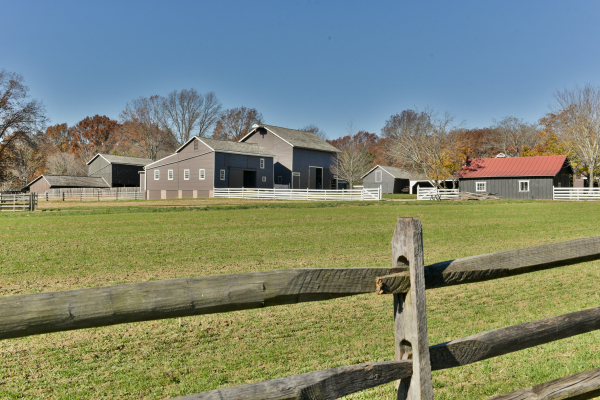 The buildings provide the Monmouth County Park System with a good example of two culture farmstead to interpret for the public. The buildings, equipment and scenery have been beautifully preserved to help the public experience all the sights, sounds and smells of fural life in the past. ​Historic Longstreet Farm is opened to the public. Visit the Workshop, Farmhouse, Smoke House, Ice House, Chicken House, Blacksmith Shop, Potato House, Wagon House, Corn Crib, Hog House, Old and New Cow Houses, the Dutch Barn, Stable and Carraige House. These buildings illustrate the farming and community life in the 1890's.